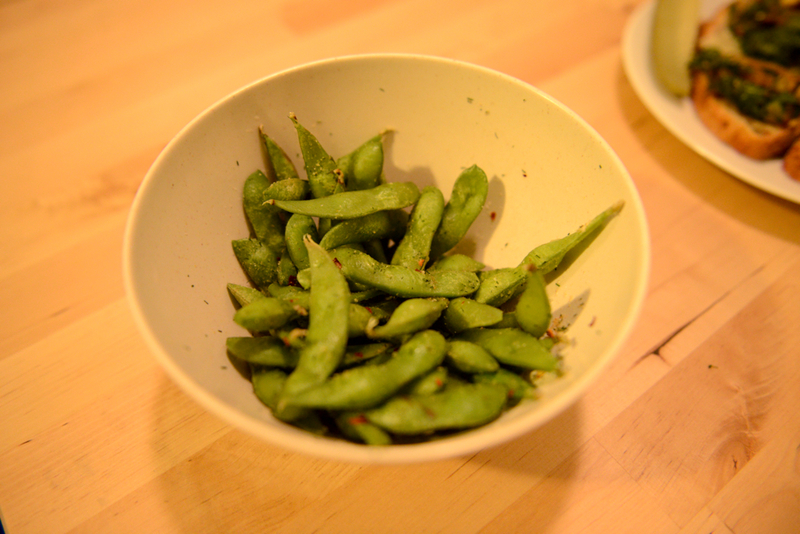 Ok so maybe this week wasn’t the healthiest of weeks (I ended it with an all-you-can-eat sushi dinner which just about killed me). But I decided to indulge in the beloved grilling of bread with cheese… only 2x this week but what the hell. 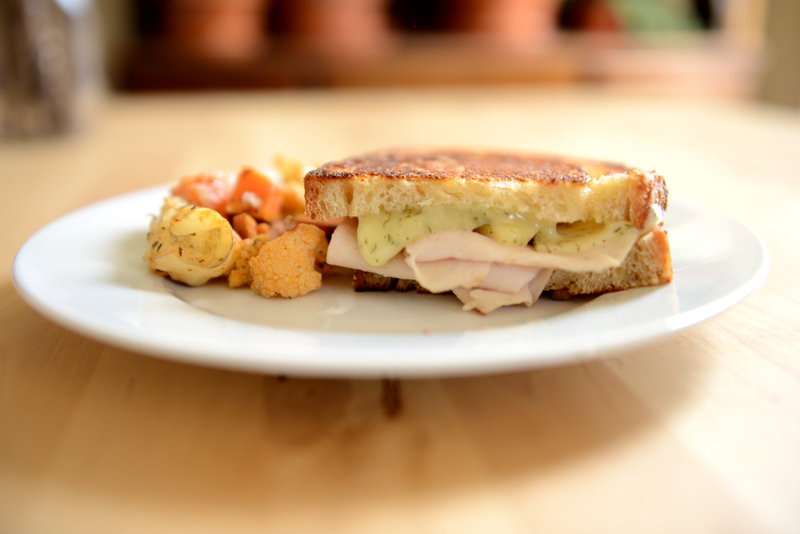 The classic turkey grilled cheese… with Havarti dill cheese and a side of roasted spicy cauliflower & sweet potatoes. One of my classic Veggie Medleys with Buckwheat & red Quinoa on the side. 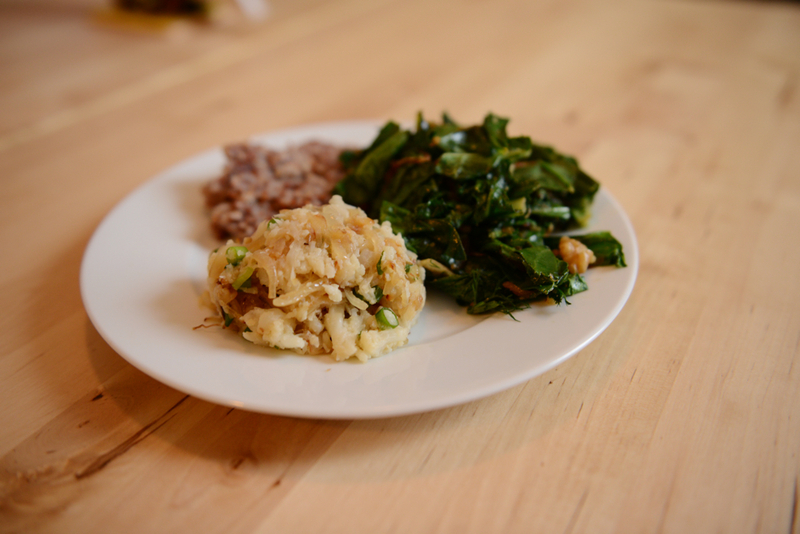 * Mashed cauliflower: with lots of browned onions, garlic powder, fresh scallions, fresh dill, and dried dill weed. 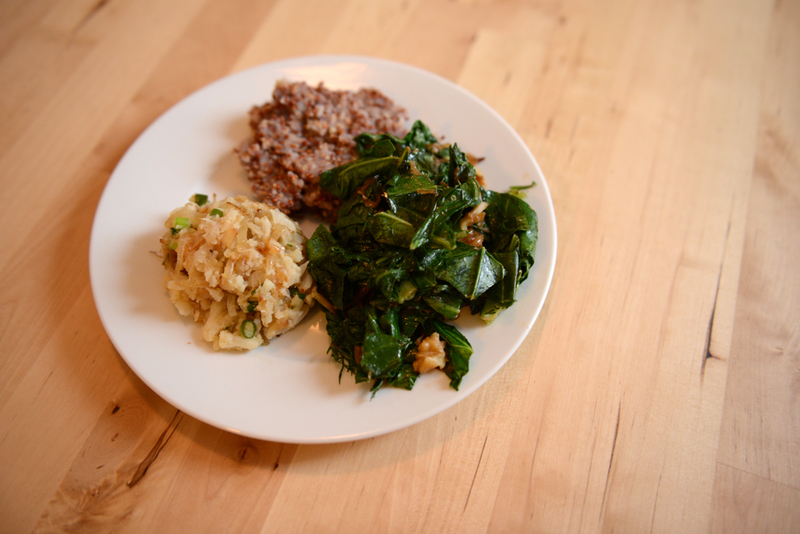 * Greens medley: turnips and collard greens seasoned with smoked paprika, cayenne pepper, browned onions, and raw walnuts. Open faced grilled cheese. 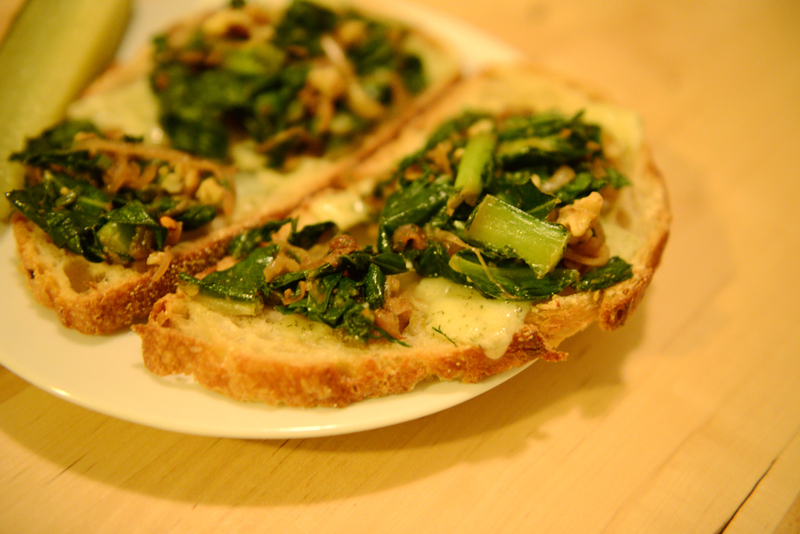 Sourdough bread, Havarti dill cheese, and the greens medley from the meal above. 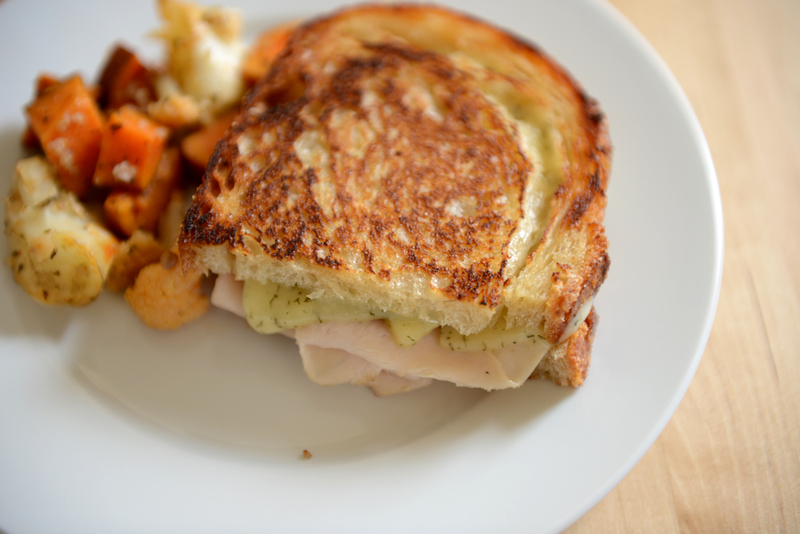 I used a toaster oven to get this crispy and melty grilled cheese and skipped the butter. 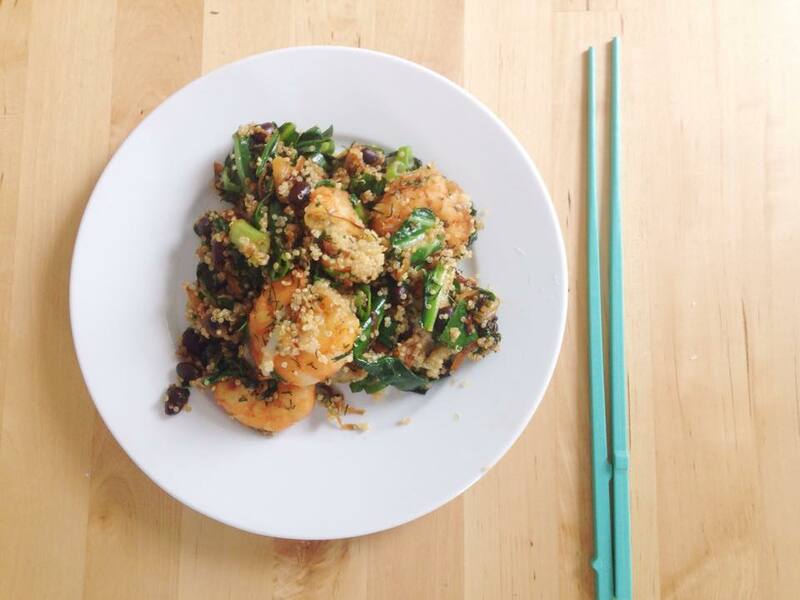 I ended my week with a shrimp & black bean medley. 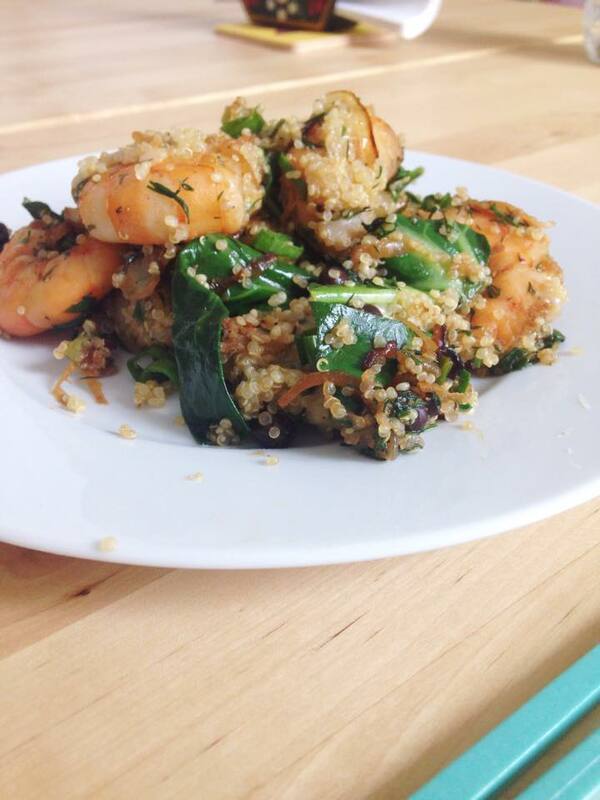 Shrimp seared in soy sauce and seasoned in garlic powder and dill weed. Turnip & collard greens, browned onions, fresh dill, scallions, black beans, and quinoa. Topped with shredded Mozz. Previous Food Journal: Sweet Potatoes, Zuchinni, & Cauliflower. Next Week 42: Yoga & the Dude With the Beard.